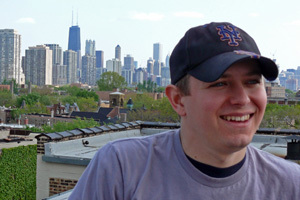 Originally from Long Island, Tobias Amadon Bengelsdorf moved to Michigan for work, and then to Chicago to get his MFA in writing at the School of the Art Institute. He is still in Chicago, writing, teaching, editing, and reading. Mostly, he writes short little things. Unless he is working on his novel. He likes trains. He dislikes cars.